Good news! We have updated the layout of our detailed monthly Google Ads performance reports. These reports can be found by clicking through on any of the metrics within the Google Ads report, or by clicking “Monthly Reports” on the Google Ads Report page. The new report provides top level Key Performance Indicators (KPI’s) at the top of the page, that compares your metrics to the previous month. 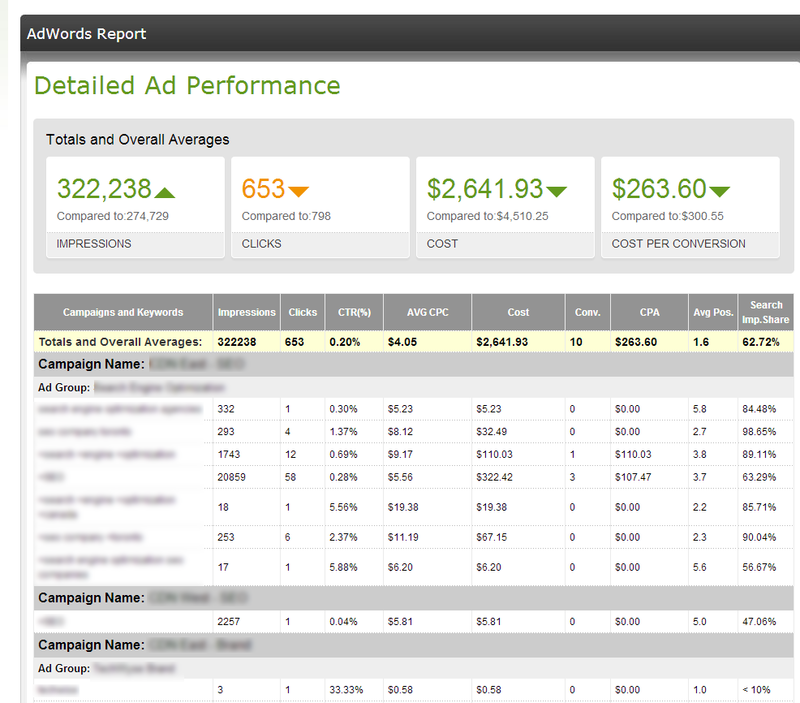 Campaign and Ad Group details have also been added to the report to provide more insight on your Google Ads details. This makes it possible to see which campaigns are performing better than others!